Last Saturday we had a wonderful Luau Party, and very soon I will have a lovely Luau post. The day, or should I say days after my larger parties involve almost as much work as the lead up with a lot of items to be removed from walls and surfaces and a lot of careful sorting of props back into plastic creates for "next time". This Sunday was no exception so we decided on a simple lunch of "party leftovers" which made a fabulous Ploughman's lunch. Perfect for a lazy Sunday afternoon. 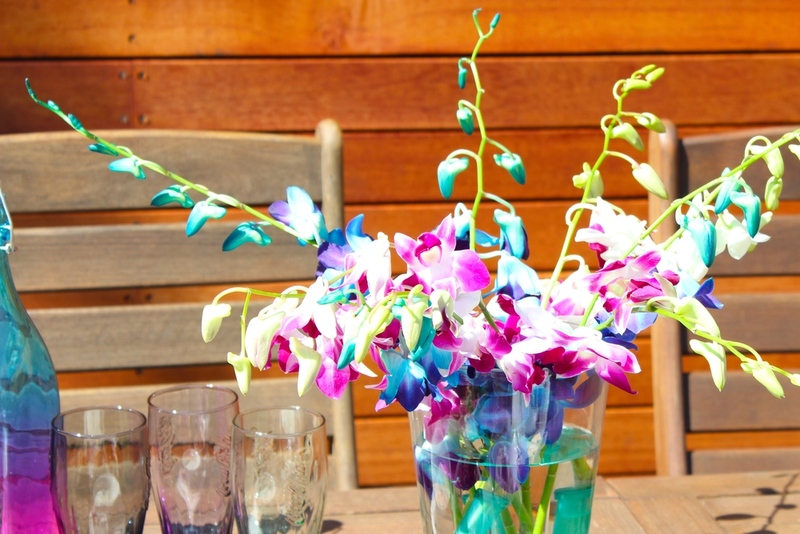 A simple bunch or bright Singapore Orchids ensures a tropical, summer feel for outdoor dining.